The perfect size for snuggling on the couch, by the fireplace or at outdoor events. All items are shipped via US Postal Service, UPS, or FedEx. Most items will be complete and ready for shipment (ship date) in approximately 2-4 business days. During the holiday season (Nov 23 – Dec 31st 2018) production, timelines are extended to 5-7 business days. Items generally arrive at their desired location within 2-5 business days of ship date. As each product is made to order we cannot provide refunds for wrong size or change of mind. 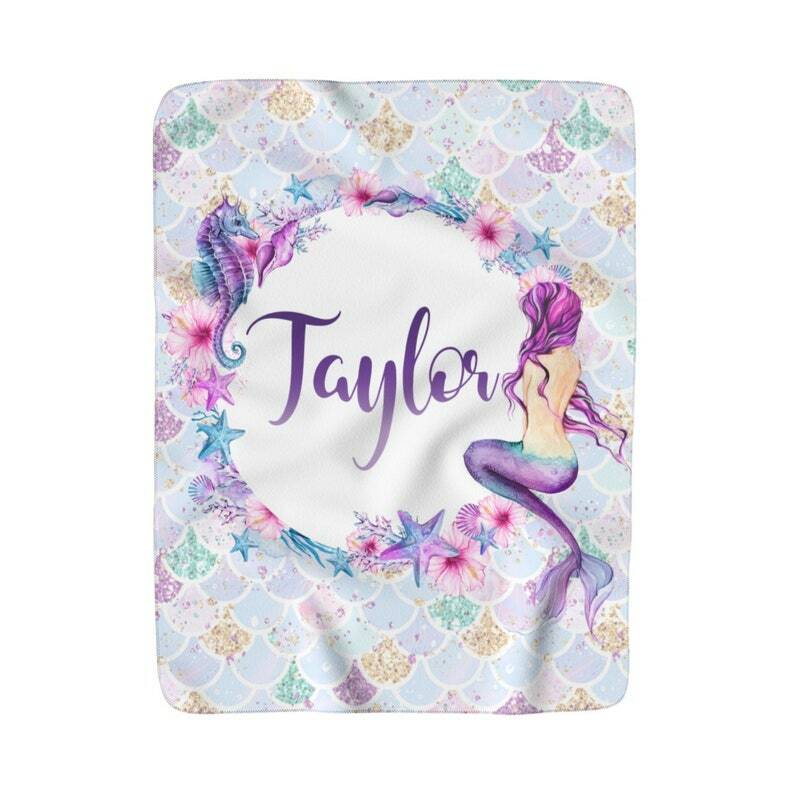 Personalized Mermaid Pillow / Mermaid Pillow / Mermaid / Mermaid Decor / Mermaid Cushion / Mermaid Nursery / Birthday Gift / Mermaid Gift.